Year after year parents are asked to buy more and more items for their child’s school supply needs. Sometimes, they are even asked to buy more supplies later in the year. 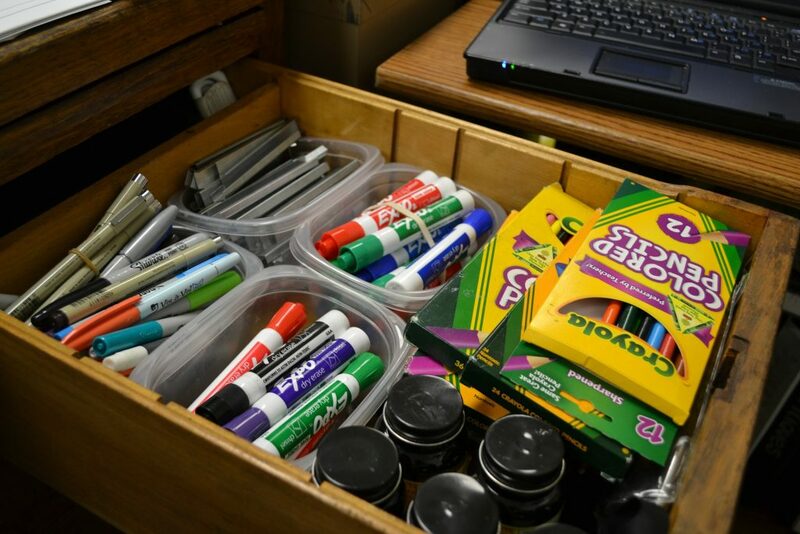 Without knowing why teachers need supplies, these requests can be frustrating, yet there can be many reasons that teachers need more supplies. While many of us take for granted that in our jobs, our supplies are budgeted for us, but for teachers it is a different story. School districts face many challenges, such as a growing population, the need to build more schools, and very little money to expand. Because school districts are unable to pass tax-levies, funding cuts happen, and one of the first to be targeted is money for supplies. The need for more supplies is dependent upon what school district the teacher is in. A few districts have all the funding needed for supplies, while others struggle and the need for them is great. One teacher explained to me that in her first year of teaching, in an underfunded public school, she spent over $700.00 of her own money to buy supplies for her students. The list included tape, bins, pens, pencils, sticky notes, tissues, hand wipes, books for her class library, printer paper, colored paper, markers, glue, and much more. Most schools have a small budget for supplies, and many teachers spend more than $700.00. Although many of the supplies that teachers purchase are “typical” for the classroom, some buy SD cards, DVDs, and other electronics supplies, not as additional materials, but as an essential need to the classroom curriculum, therefore increasing their costs. Many school districts have adopted a policy of having parents pay fees to cover their student’s supplies for the year. In one district, the cost per student for the year is approximately $43.00. Not only is there a fee, but parents are expected to fulfill a list of basic supplies needed on the first day of school. Even with these fees and supplies, teachers are still having to buy more. If funding for supplies are cut and parents cannot pay the fee, the supplies are still needed. Even though many teachers incur costs for needed supplies, they are coming up with creative ways to get extra funding. Teachers have bake sales, ask family members to make a donation, use crowdsource funding, and social media. If there was not a need for supply money, then sites such as GoFundMe would not exist. With continued funding cuts around the country, teachers will continue to need more supplies. Do you have any comments about why your student’s teacher might need more supplies?